Thank you for your interest in Jewish film and culture. 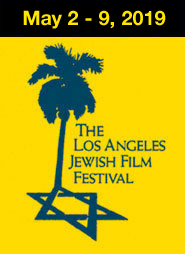 Donating to the Los Angeles Jewish Film Festival helps us promote Jewish films, arts, culture and education in your community. The success we’ve been able to enjoy is all because of the deep commitment and encouragement from our partners and sponsors and we are grateful. To maintain our success and to help us create newer more innovative programs, we turn to you and welcome your participation and generosity. For SPONSORSHIP LEVELS and details CLICK HERE.